« Keystone First Meal Sponsorship! They had so much fun last year that they are back for an encore! Listen to Broad Street Ministry’s Tony Moore and the community’s gifted musicians. Take in the sounds of the Curtis Institute of Music staff and students. They will collaborate on holiday favorites and showcase their own style. 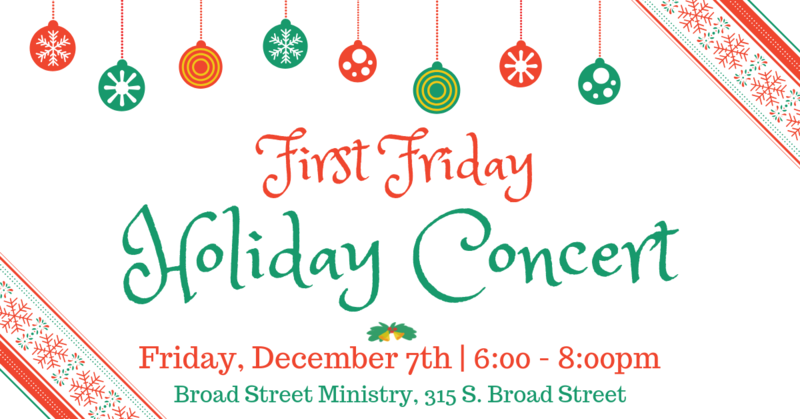 Come for holiday sounds, the hot chocolate bar, and good times!